No matter your budget, thanks to Kraków's ascent into elite status as a European destination, there is no lack of accommodation options in this fabled city. From fancy 5-star affairs to familiar franchises, boutiques to bed and breakfasts, historic apartments to some 60-odd hostels - you won't be hard-pressed for a place to stay. 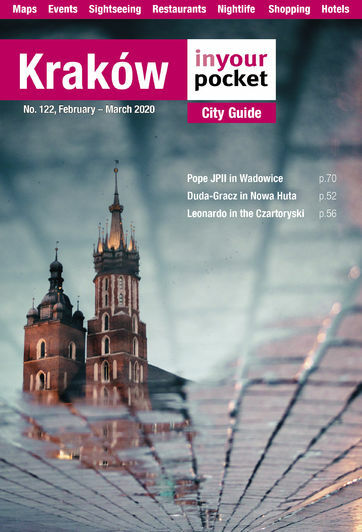 With limited space, we obviously can’t list every sleeper in the city in our print guide, however you can find a comprehensive list of Kraków's myriad accommodation options, with full reviews, GPS, photos and other details, here on our website. With the increasing irrelevance of official rack rates these days due to online booking discounts, special offers and other price variations, we no longer find it particularly instructive to list room prices in our guide. Accommodation is categorised here subjectively based on a combination of lodging type, location, price and amenities, and in our print guide we only list those lodgings that we most recommend to tourists.